This page is dedicated to providing the site visitor with quality Elvis Presley biography fan`s survey results information from the site`s Elvis Presley Quiz, pictures and articles for your entertainment. The contents of this Elvis Presley biography site is written by a fan for his fans. If you recently submitted your fan survey to the site, it will soon appear on its own Elvis Presley website page like this. : Ummm he just happnes to be the greatsest rock legand EVER! "My Message to Elvis": Whould you be mine? and Did you have any pets....? : ummm cause he is hott! he is in my heart always and forever!!! Thank you for your comments on our survey. It`s not hard to fall for such a great looking guy who also gave so much. Elvis lives strong in our hearts! His music is timeless, the history of our legend has stood the test of time and still today Elvis Presley is very much adored by many fans world wide. 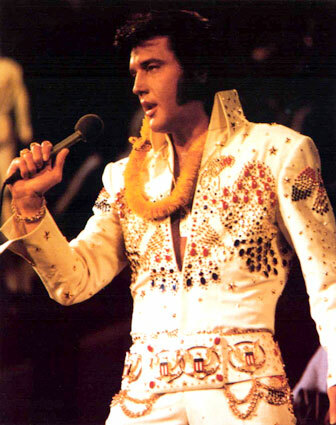 Elvis was a classic and has timeless appeal. Gweniver, thank you for sharing your feelings with us, it was lovely hearing from you. Take care.